Holloway Fields, Jr. was born and raised in Lexington, Kentucky on Montmullen Street directly across South Limestone from the University of Kentucky where in 1951 he would receive a Bachelor of Science in electrical engineering. Mr. Fields graduated from old Dunbar High School where he was class valedictorian, president of the Student Council and captain of the football team. He served in the U.S. Navy at the end of WWII, then decided to pursue studies in electrical engineering. Because Kentucky state law prohibited African-Americans from enrolling at the University of Kentucky, he enrolled in the Illinois Institute of Technology. After Lyman T. Johnson’s successful challenge to desegregate the University of Kentucky, Mr. Fields made the decision to transfer home to attend the University of Kentucky. At the time, he did not fully realize that his enrollment represented a milestone in the University’s history. 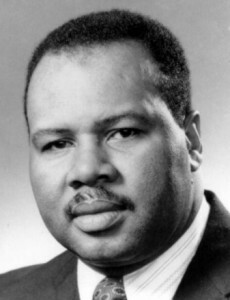 Holloway Fields, Jr. was the first African-American to receive a bachelor’s degree, not only in engineering, but at the University of Kentucky. This would have a lasting impact not only on the College of Engineering and the University, but for all African-Americans wishing to study engineering at the University of Kentucky. Only at the time of his graduation did Fields realize the magnitude of his accomplishment. He has been told, although it is unconfirmed, by a researcher of that era that he was the first African-American to graduate from an accredited engineering school south of the Mason-Dixon line. Fields relates that he was not treated badly by his classmates or professors while a student in the College of Engineering. Since this was the era immediately before the civil rights movement, he did continue to face other forms of segregation at the University and in Lexington. He was not allowed to eat in any of the on-campus food facilities, he could not attend football and basketball games, and he could not eat in many of Lexington’s restaurants nor try on clothing in most department stores. After graduation, he became a test program engineer with the General Electric Company. Throughout the years at General Electric, Mr. Fields held positions of increasing technical and managerial responsibility. Because of a solid background in design and development, particularly in the area of radar engineering, his early years with the company were dominated by classified government-related work. He made significant contributions in the area of analysis and equipment construction concerning controls, displays, printed circuit design, signal processing, and automatic detection techniques using tubes and solid state implementations. As a technical manager, his department was responsible for the development and implementation plans covering the performance, cost and scheduling of all levels of test, including identifying and assigning responsibility for test equipment, test facilities, test documentation requirements, and equipment design change control. From this work came more than a dozen successfully deployed system types for more than 500 systems at installations for field sites throughout what was then known as the free world. Mr. Fields was active professionally throughout his career as a member of the Institute of Electrical and Electronics Engineers, the Syracuse Chapter of the General Electric Elfun Society, the American Defense Preparedness Association, and Sigma Xi honor society. He is well-known within the Syracuse-area for his dedicated work in a number of community organizations the Syracuse and Onondaga County Human Rights Commission, the Syracuse-area Urban League, National Association for the Advancement of Colored People, Community Chest (now the United Way), Youth Opportunities Unlimited, and his church. Over the years Holloway Fields, Jr. has received many awards and honors in recognition of his professional and civic contributions. These include the Syracuse Black Leadership Congress Award; the Onondaga County City-County Human Rights Commission Award; and the University of Kentucky Lyman T. Johnson Alumni Association Award. Mr. Fields died in February 2006. He was married to the former Harriet M. Walker of Lexington. The Fields are the parents of five children, Howard, Jerome, Audrey, Ralph and Calvin.